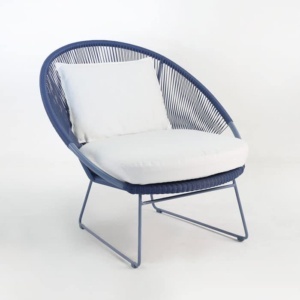 The thick, plush Sunbrella cushion, included with our Natalie Occasional Chair is a bold invitation to just sit and relax in the bucket-style seat. 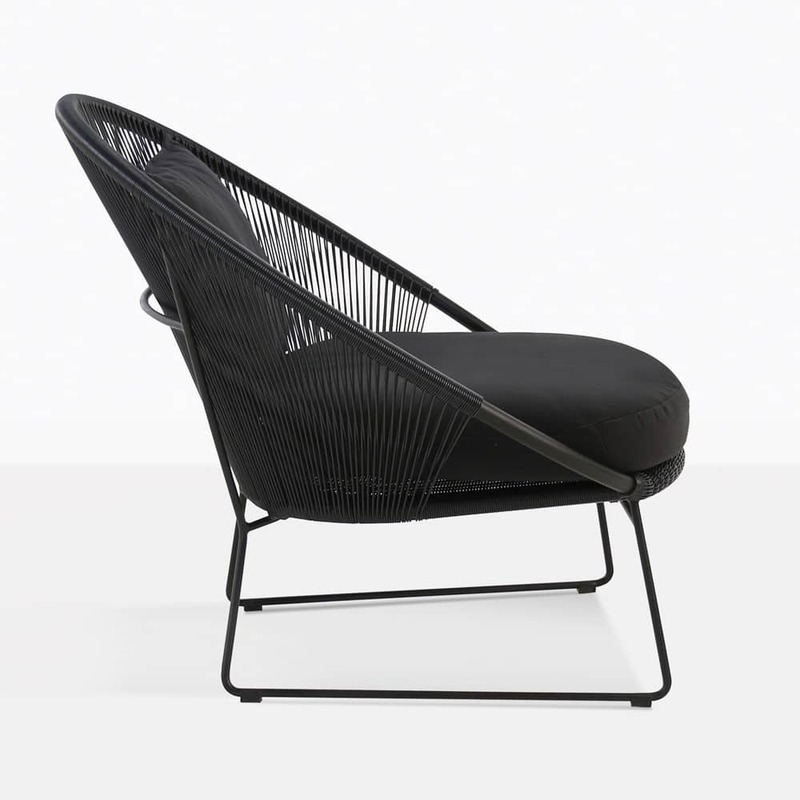 It’s low profile also makes it a temptation to just unwind a little, and this chair is suited for both indoors and outdoor living. 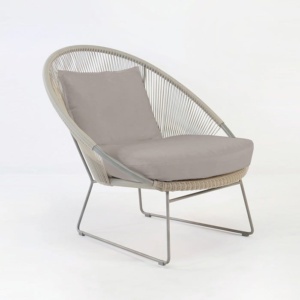 Round and curvy, this contemporary chair has all-weather construction made of Ecolene® Outdoor Weave with a surface that looks and feels like natural rattan. The synthetic weave has been specifically designed for outdoor furniture, with high tensile strength, it won’t crack or splinter and requires very little maintenance during its lifetime – just a splash of water will keep it clean. 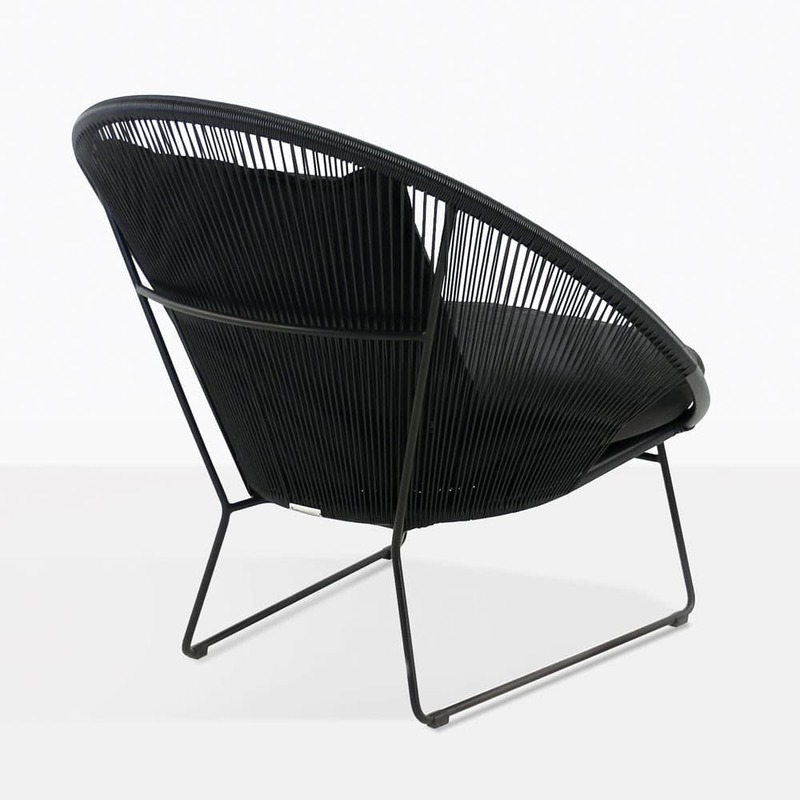 Relaxing on the Natalie Occasional Chair, you’ll notice how sturdy the powder-coated aluminium frame and powder-coated steel legs are. Designed to resist corrosion, the colour won’t fade and this chair is lightweight, so it’s easy to move around your outdoor (or indoor) living space. 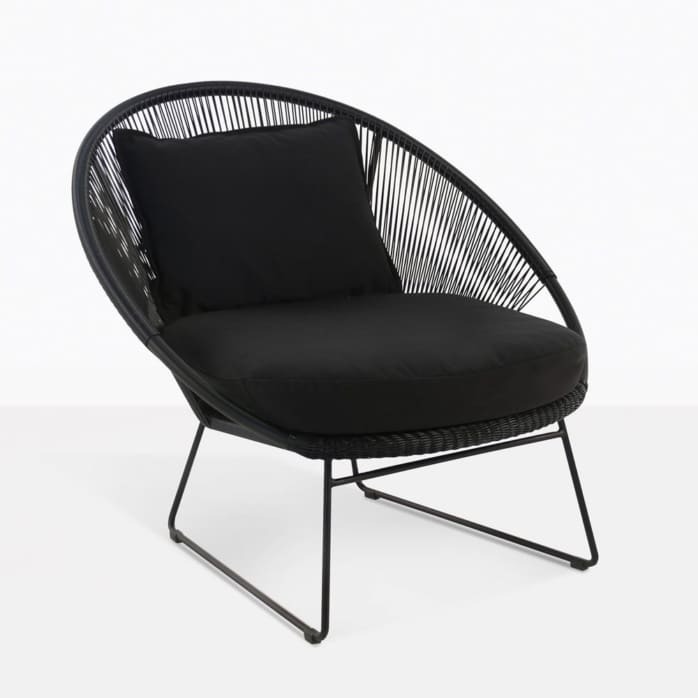 Available in Black, the colour has a certain formality about it, yet will blend in well with most outdoor living areas and can be an ideal match with teak, stainless steel or concrete furniture and accessories, also available from Design Warehouse. 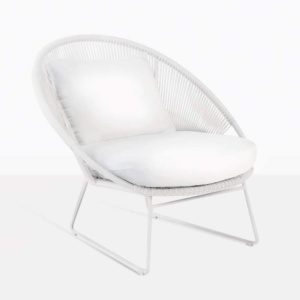 We think you will love the Natalie Occasional Chair for its simplicity, contemporary style, luxurious cushions and outdoor wicker that’s smooth to the touch.